Is your vehicle in need of routine maintenance or more extensive repairs? If so, INFINITI of Naperville has you covered, whether your vehicle just needs a little TLC or requires significant work from a highly skilled technician. At INFINITI of Naperville, we treat every car that rolls onto our lot as if it is our own. That’s why we offer a superior customer service experience. INFINITI of Naperville is the #1 INFINITI service center for many reasons, one of them being our unparalleled commitment to customer service. We do what we do because of people like you, people who take pride in their car and their driving experience. We offer top of the line INFINITI service and parts to help get you back on the road and keep you there longer. Not only will our technicians give your car the best service with the best parts you can find, but we also offer courtesy valet and service loaners because we know the world doesn’t stop when you need your car serviced, so we take every step to keep you comfortable and make sure you’re able to get where you need to go while your car is in our shop. 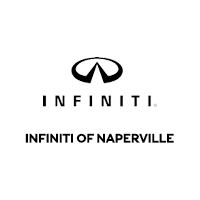 WHY CHOOSE INFINITI of Naperville? Extended Hours for Your Convenience – In addition to our weekly hours of 7:00 a.m. – 7:00 p.m. Monday through Friday, we are open on Saturday all day from 8:00 a.m.- 4:00 p.m. to accommodate your busy schedule. Service Packages and Discounts – Peruse our site for exclusive service packages and discounts on parts and service! Especially with routine maintenance that you know you’ll need, we make it rewarding to come back to INFINITI of Naperville for service time and time again! Deals on Tires – We always have greats deals on your next set of tires through the INFINITI Tire Advantage! Paint and Interior Protection – Don’t forget about our Auto Interior & Paint Protection Plan warranty packages that cover new, leased and certified vehicles inside and out. Visit our page about auto interior & paint protection for more details. Certain restrictions apply. See retailer for details. Price and offer availablility may vary by model. Eligible tires include all OEM, OEA, and WIN tires. Taxes and fees additional. No cash value. Must present offer to redeem. May not be combined with other offers. INFINITI vehicles only. Void where prohibited. Ends April 30, 2019. Certain restrictions apply. See retailer for details. Price and offer availablility may vary by model. Eligible tires include all OEM, OEA, and WIN tires. Taxes and fees additional. No cash value. Must present offer to redeem. May not be combined with other offers. INFINITI vehicles only. Void where prohibited. Ends April 30, 2019.